Precision pressure dew point probe with measuring chamber | Páratartalom mérő | Páratartalom | Paraméterek | Testo Kft. The pressure dew point is an important criterion for ensuring that compressed air systems work perfectly. 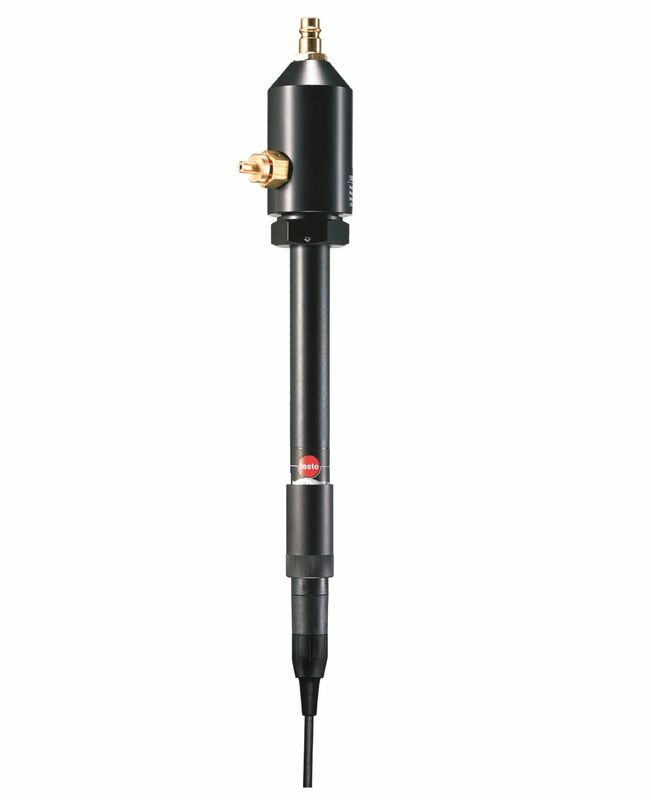 Use the precision pressure dew point probe with measuring chamber (combined with the appropriate measuring instrument) to determine the pressure dew point quickly and accurately. The probe runs through an elaborate adjustment process: in addition to standard adjustment, it is subject to fine adjustment at the factory at a pressure dew point of -40 °C. Connection to the compressed air system is via a standard plug-in connection (G1/4” internal thread as per ISO 228-1) or via a test connection screw fitting (for measurements on vehicles). If necessary, other standard plug-in connections with a G 1/4” thread can also be screwed into the measuring chamber. The probe can also be used for indoor air humidity and temperature measurement without a measuring chamber. Precision pressure dew point probe with measuring chamber, including certificate with -40 °C test point and 1.6 m fixed cable.